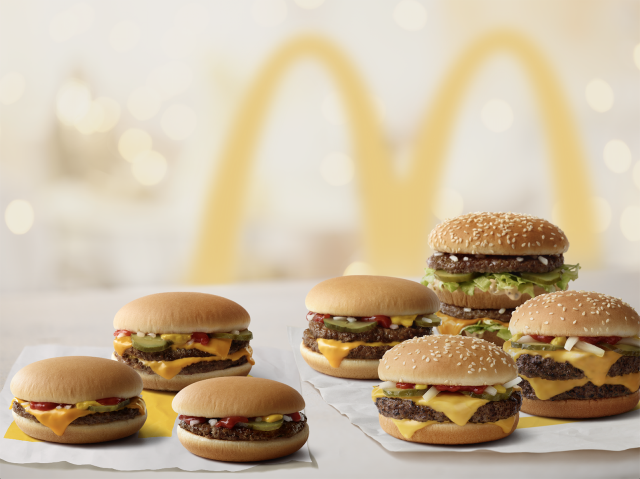 Except for the pickles, McDonald's classic burgers now are free of artificial preservatives, artificial flavors, and colors from artificial sources due to changes in certain components. To make the change, Mcdonald's removed artificial preservatives from their American cheese, Big Mac Special Sauce, and the buns for the seven sandwiches (i.e. the regular hamburger bun, Quarter-Pounder bun, and Big Mac bun). - Calcium propionate for their hamburger, Quarter Pounder, and Big Mac buns. For whatever reason, the chain's pickles still contain an artificial preservative (potassium sorbate). The removal of artificial preservatives from the burgers marks the latest in a series of ingredient changes that reflect changing customer preferences. Other changes in progress include sustainably sourcing coffee by 2020 and switching to cage-free eggs in the US and Canada by 2025. Recent complete changes include fresh beef, made-to-order Quarter Pounder beef patties and the removal of artificial preservatives from Chicken McNuggets.